Independence day is a great way to celebrate, commemorate and remember the many freedoms we enjoy today. Many of these freedoms we now take for granted, were not available to our forefathers, and we have them to thank for our independence. It is thanks to their trials, tribulations and struggles that we now are truly free! While we celebrate, we should ensure that we continue to protect the freedoms that our forefathers, the freedom fighters, strived to deliver for us. In so doing, we ensure that our children and the generations that follow us are presented with the same privileges and freedoms that we possess and enjoy. Even more so as a democracy, and a vibrant one at that, the onus is on us as citizens to protect and preserve the independence each of us enjoy. So let’s rise up as one, and defend the rights and freedoms of all the citizens of India, and the citizens of the world at large! We can then all celebrate as one! That’s not all however, here at Rummy Central we are not too far away from capturing the spirit of celebration this Independence week. Thanks to our website and our Android and iOS apps, you now have the freedom to play Rummy wherever you are and whenever you want to, all year round! What’s more, there’s no better way to celebrate Independence week than with the Rummy Central 105% Freedom Bonus offer! 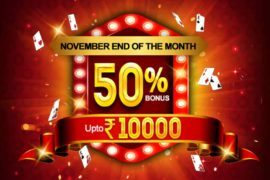 Now, you get an instant cashback of 5% & a 100% bonus up to Rs. 2,000 on deposits ranging from Rs. 500 to 10,000. Simply use the Code FREEDOM and avail this offer from Aug 9-15, 2018. 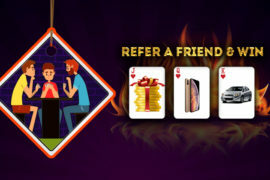 Now, you have the freedom to play Rummy, and thanks to our mind-blowing FREEDOM offer, you can win big too! Go on, log in and get stuck into some thrilling Rummy action today! 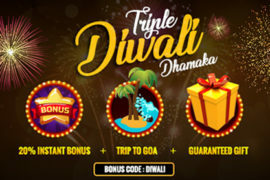 Party in Goa like there’s no tomorrow with Rummy Central’s Diwali offer! Copyright © 2018 RummyCentral.com. All rights reserved.